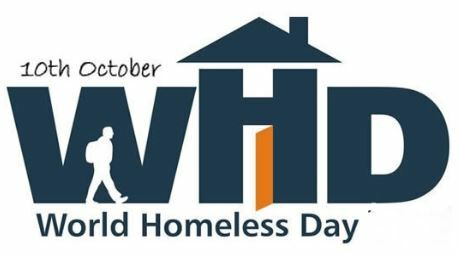 World Homeless Week this year is 7-14 October 2018 and includes World Homeless Day on Wednesday 10 October. The concept of ‘World Homeless Day‘ emerged from online discussions between people working to respond to homelessness from various parts of the world. The Inaugural World Homeless Day was marked on the 10 October 2010. Calderdale Council’s Empty Homes Strategy can be found on the Council website here. It describes how empty homes are a wasted resource as they could be used to house homeless or vulnerably housed. Also they can attract vandalism etc. or just fall into disrepair because of lack of use. The Council is currently carrying out an Empty Homes Review. In support of the government’s national initiative to tackle the shortfall in housing, Calderdale Council is currently undertaking a review of all empty homes in the area that are currently listed as long term empty premises. The review is being undertaken in conjunction with a company called Capacitygrid. If your property is currently classified as empty, then Capacitygrid may contact you to confirm whether the property is still vacant. If you receive correspondence from Capacitygrid regarding your property, please would you update the property records for your address. You will need the information provided on the letter sent to you to do this. To try to reduce the possibility of empty homes, Social Housing groups generally have a clause in the tenancy agreement that requires that they be informed in writing if the property is expected to be vacant for more than 28 days. This entry was posted in Oct and tagged World Homeless Day. Lower Valley Friday Flyer 14 September – OUT NOW! !